Set fitness goals and prepare your body for the next marathon or challenging uphill routes with the Proform 505 CST treadmill, powered by a rugged 2.5 continuous horsepower motor that speeds the belt up to 18kph (11.1mph). 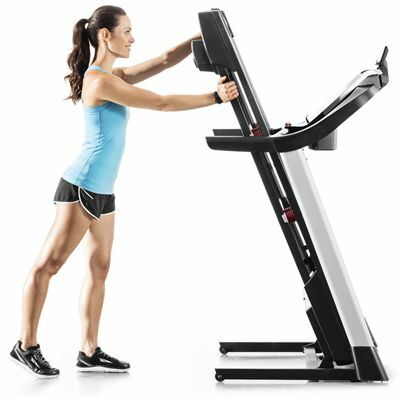 With an incline range of 0-10%, you can easily change workout intensity, and to adjust your Quick Speed™ and Quick Incline™ in an instant use the one-touch controls on the user-friendly console. To reduce impact on joints and ensure soft landings, there is ProShox Cushioning and the 505 CST provides room for you to run naturally thanks to its spacious 51cm (20'') x 140cm (55.1'') deck. 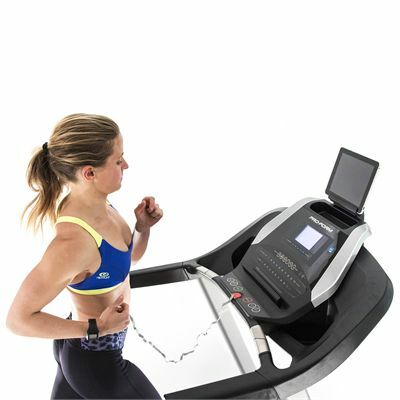 As you walk, jog or run, the machine lets you track your progress on the clear, intuitive 5” backlit LCD display and to enable you to connect with friends, browse the web and watch favourite shows while exercising, the treadmill has an integrated tablet holder. Moreover, thousands of incredible destinations, customised training and countless interactive workouts designed by certified personal trainers are available thanks to iFit® Coach BLE functionality, and the treadmill offers 19 motivating programmes to help you push yourself further every time. 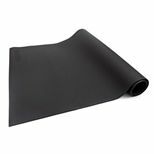 To keep wear and tear to minimum, there are 1.9” (5cm) rollers, and to fold the machine away with no trouble, it features a convenient Space Saver™ design. 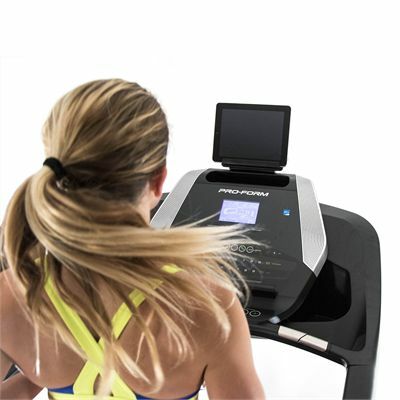 for submitting product information about Proform 505 CST Treadmill We aim to answer all questions within 2-3 days. 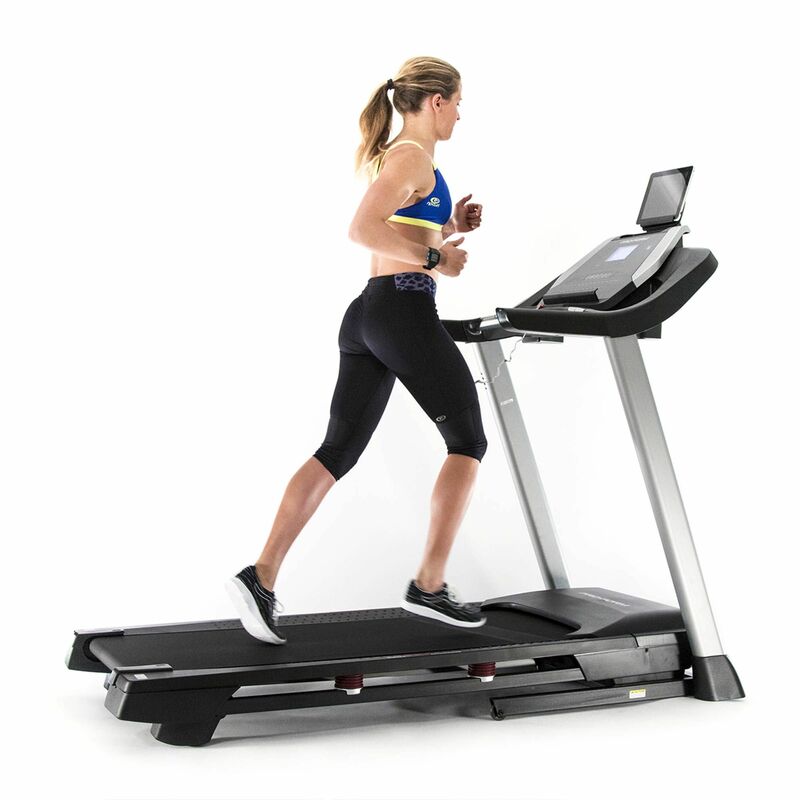 for submitting product information about Proform 505 CST Treadmill. We aim to answer all questions within 2-3 days. If you provided your name and email address, we will email you as soon as the answer is published. Can you deliver this to an upstairs room? We can offer a non-ground floor delivery service to most postcodes in England and Wales. Unfortunately we're currently unable to offer this service to postcodes in Scotland or the UK Islands. For more details please contact our sales team who will be able to provide a quote for delivering to a non-ground floor room. Does the 505 have a Bluetooth heart rate receiver? We want to put a treadmill in our conservatory but it's very bright making it hard to see anything on a screen. How bright is the screen on this model? The screen this treadmill is a blue back-lit LCD display. It's possible to adjust the contrast on the console via the settings so you should be able to get a clear view view of the screen, even if the ambient light is bright. Does it have any dedicated weight loss programs? There are 18 workouts in total and several calorie burn based workouts of varying intensities designed to burn calories and help you lose weight. Is this a motorised incline or do you have to adjust it manually? The Proform 505 CST has a motorised incline that goes up to 10%. There are 11 one-touch incline control keys to adjust it and you can also adjust one level at a time. 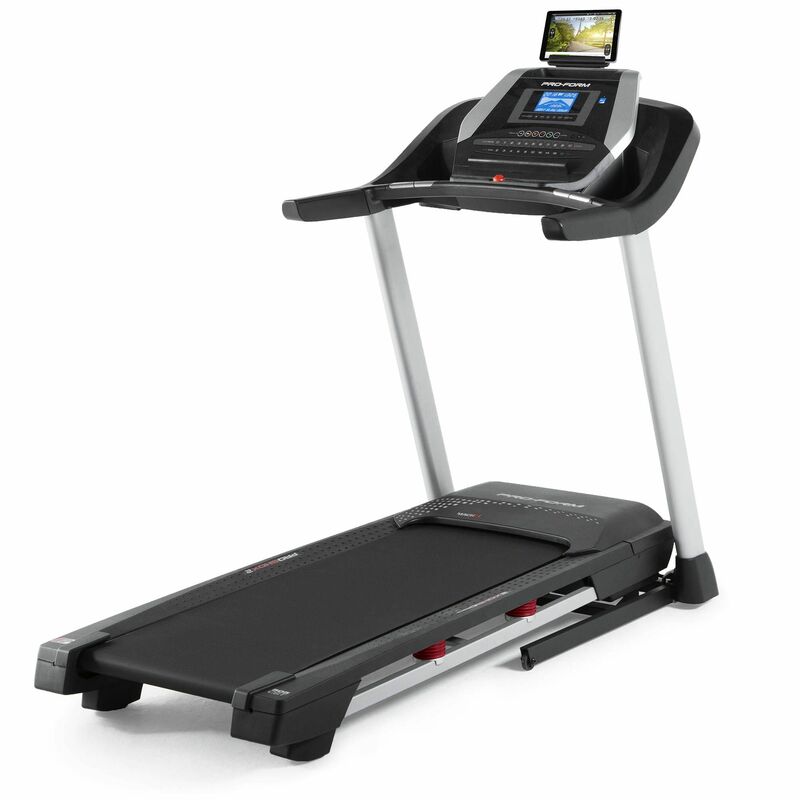 Is this treadmill suitable for running on 3-4 times per week? Is it suited to taller users? 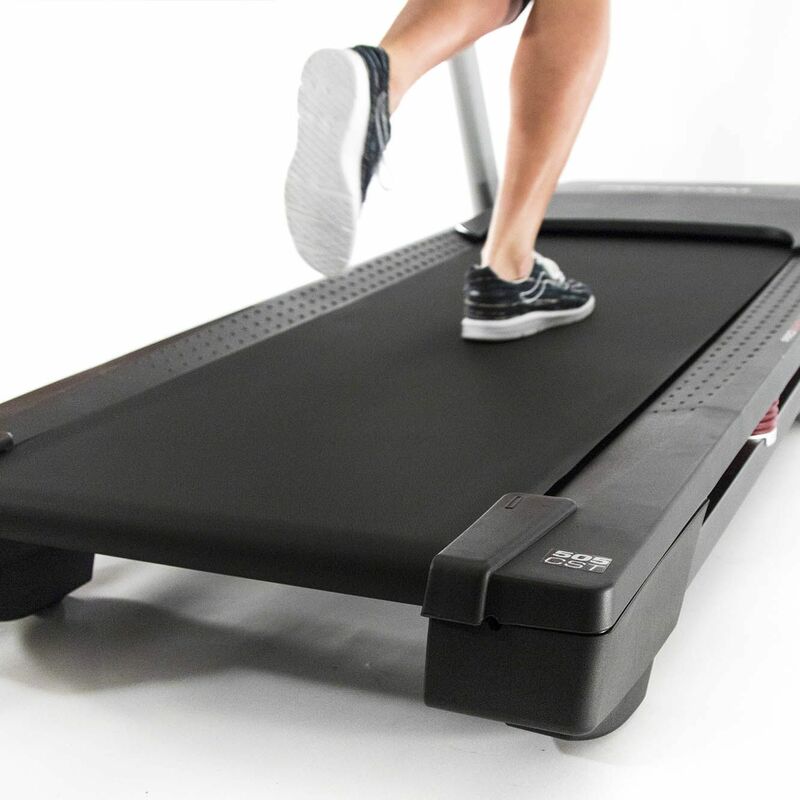 Yes, treadmill has a large running deck with plenty of space for taller people to stride out. Does it have a tablet holder? There are two tablet holders, one in the centre of the console and one on the top of the console so your tablet is more in your eyeline as you exercise. Yes the treadmill has an easy-to-use folding mechanism. Great treadmill. Sturdy, stable and comfortable. The treadmill itself is excellent quality. As good as any I've used in a gym. The software lets if down slightly on a couple of fronts. They are: 1) The built in programmes operate at a set speed / incline. There doesn't seem to be a way of ramping these up as you progress. You are left with the only option of manually hitting the speed / incline options you want.2) The Bluetooth connect tracking app is useless and costs. I downloaded it to see what it was about and it wouldn't run on any mobile (I tried 2) or any tablet (again I tried 2). 3) You can't set a timer, I like to run for say 30 minutes and vary the speed to see how far I can get. Not an option. So excellent hardware, annoying software. Worth it if you are happy hitting a few buttons occasionally. 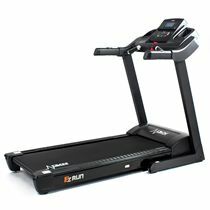 Great machine.Used at least 3 times a week.Great for walking or running and the Bluetooth facility takes away the boredom.I signed up to IFit and Streetview availability is great. Had a problem setting up and Proform service were really fantastic at guiding me through and got back to me every time they promised to.I would highly recommend this machine if you have room as it is rather big.Apart from that I can’t fault it. ok, so it once delivered it's heavy and takes time and 2 bods to build it. Consider it all part of your fitness programme. It's winter so best time of year for usage and whilst i have not explored the somewhat difficult to understand built in programmes, i have probably not given it enough brain space. This said i have used it 2 or 3 times in manual mode and have absolutely not complaints. The ability to plug in one's own device to play music watch content is a real boon and sure beats looking at the wall! Looks the real deal Very happy with it. 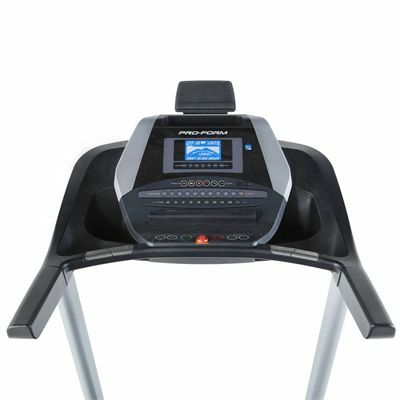 Preform 505 treadmill is brilliant for running and the preset routines are great. Only downfall is it’s not easy to move around so if you put it in permanent situ it’s perfect! I love it! Exactly what I wanted, use it 3 - 4 times a week and very happy with it. The only down side is that to use the added connectivity (Ifit) you need to pay a subscription but if you aren't bothered about that and you just want to run then this has been perfect. The treadmill feels well sprung when running, speed, incline and size of track are all good & it didn't take too long to setup. First, I am a newbie to treadmills. Overall a very nice, LARGE, machine. Most of the apparent 'bulk' is in the console display, this to my mind is oversized. The console is a piano black high gloss finish which gives terrible reflections from overhead lights and windows. The readout display has the same problem, the angle is not adjustable and for me at 5ft 1in short it is at the wrong angle. Having said that, I like the walking belt in size, smoothness and adjustability and after the first week of use have had a pleasurable walking experience. 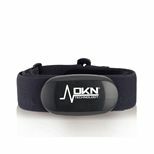 Purchased from Sweatband.com, excellent service and advice as model i ordered discontinued, so upgraded. Installed by sweatband, efficiently and quickly. Treadmill is used for myself and daughter, keen netballers who like to do interval training. Great cushioning track, quick change speeds good and Ipad holders are great. 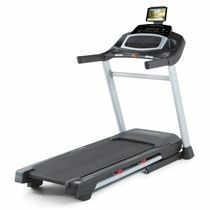 Really like the treadmill, comfortable run and great value for money. Folds up really easily too. Really pleased. Assembly took two of us about 3 hours. It’s a really good machine to use, sturdy and effective for our needs. Speakers not very loud but I would say that’s the only negative. Would recommend. for submitting product review about Proform 505 CST Treadmill.